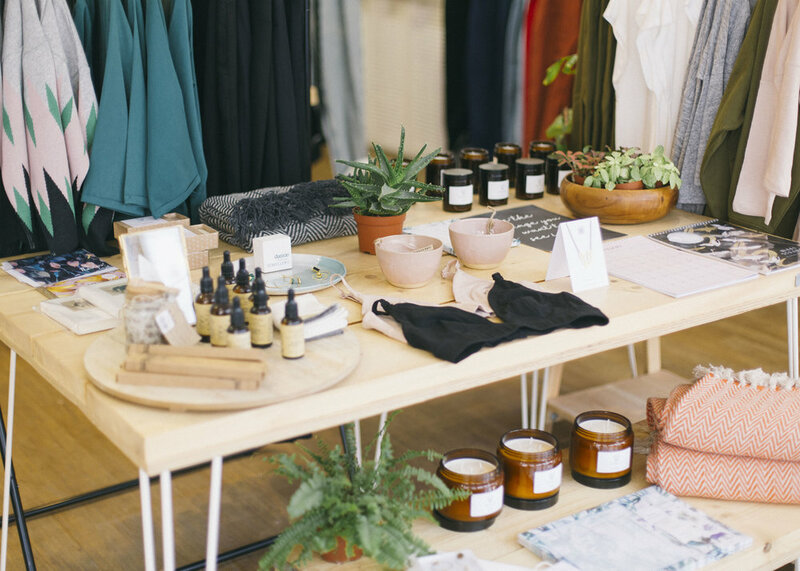 Kat Booth’s concept store combines local makers with Scandi minimalism and Moroccan textures to create a unique destination in Sheffield’s Kelham Island. 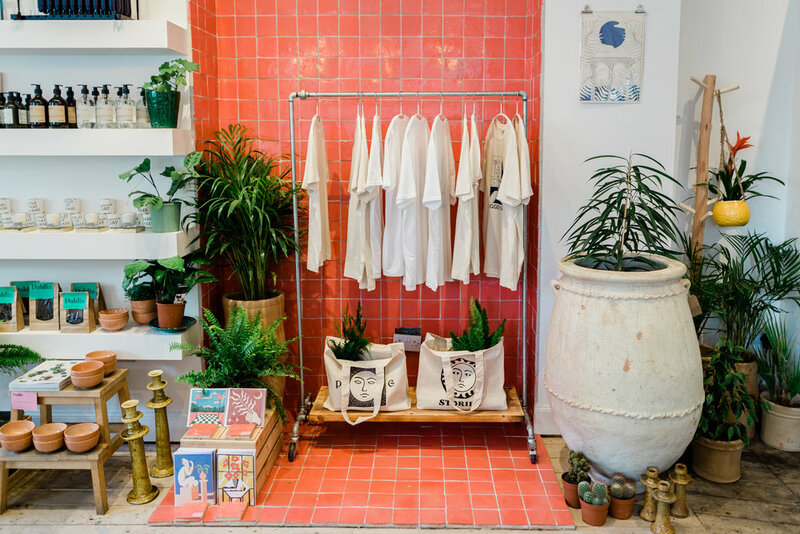 With a background in visual merchandising it’s no surprise that Kat Booth’s own shop is a visual delight. 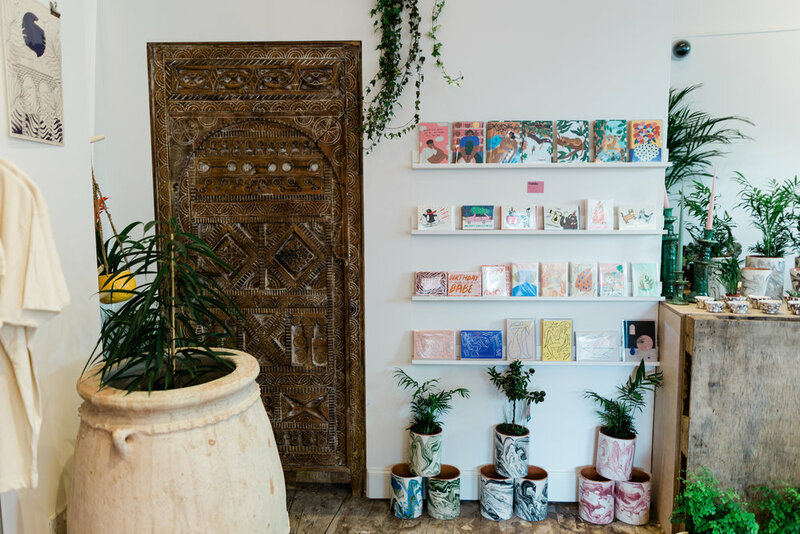 A gallery-like flow to the shop is provided by small plaques that tell the stories of the carefully-curated products, and the warmth and brightness of Zabiela Store is incredibly inviting. 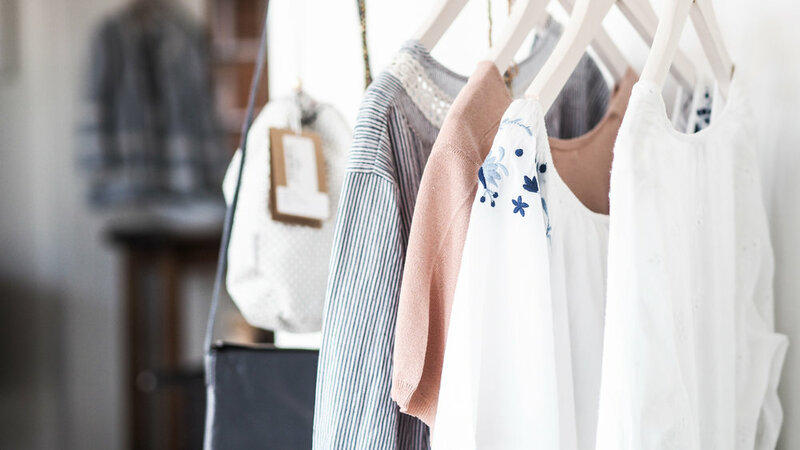 ‘I spent years working with companies like The White Company, Anthropologie and Urban Outfitters, and always wanted to be able to work for myself,’ explains Kat. ‘Here I can change the aesthetics as often as I’d like, and this gives me the freedom to promote sustainable brands and makers I like as I come across them.’ Independent makers of jewellery, ceramics and handmade clothing all receive their own space in Zabiela Store, alongside Moroccan textiles chosen by Kat herself, and gifts and art made within the local community. 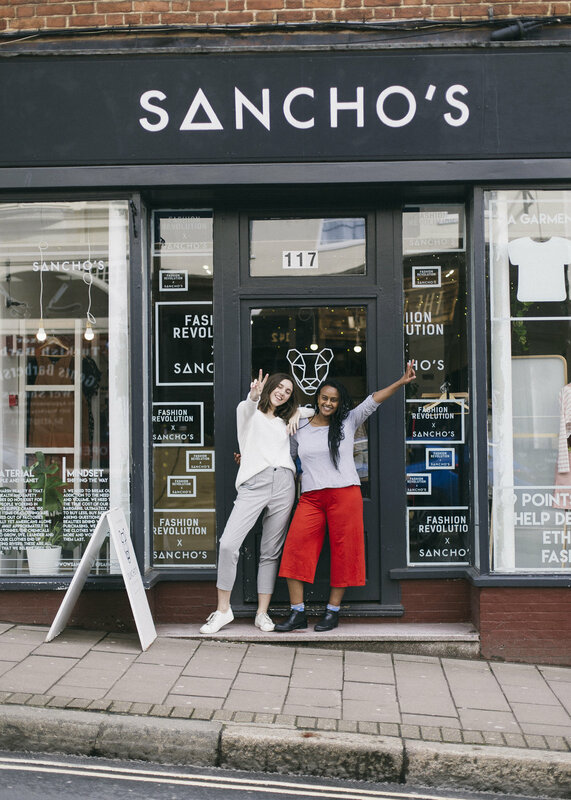 Zabiela opened in December 2017, after Kat and her husband had spent more than 18 months travelling the world and had then settled in her husband’s home town of Sheffield. Kelham Island, where the shop and the couple's home is located, is an area of Sheffield that has seen huge redevelopment over the past few years. 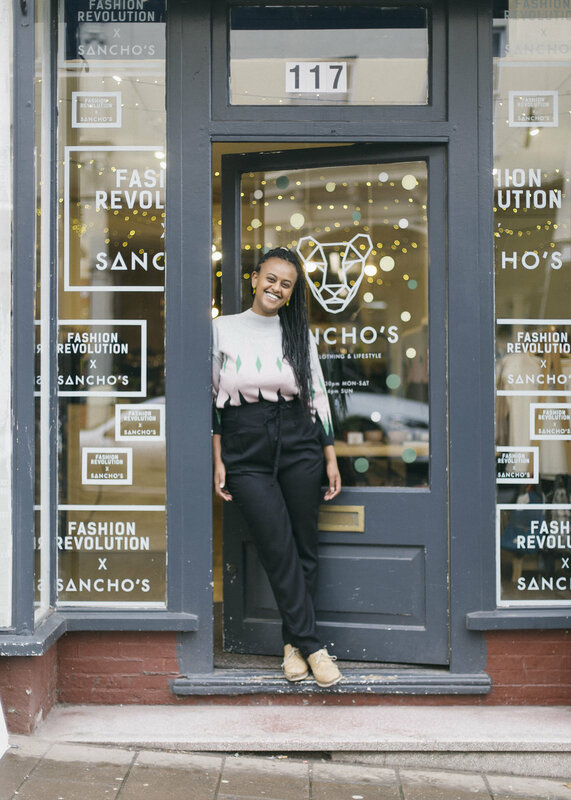 ‘Kelham Island was traditionally a manufacturing area and is kind of its own pocket within the city centre,’ Kat reminisces. ‘It once even had a reputation as a red-light district but has undergone a massive redevelopment in recent years, with sustainable housing and independent coffee shops, a monthly food market event, pop-up shops, a steelworks museum- it’s now a vibrant, indie area.’ Crucially, the area is still affordable, allowing Kat to open her small business in what is a somewhat weekend destination; ‘I only open Fridays to Sundays as Sheffield still isn’t known as a big shopping destination,’ adds Kat. The weekend hours suit Kat, who’s just welcomed her first child to the family, and she loves to see members of the community come back again and again for special ceramics or a unique card. 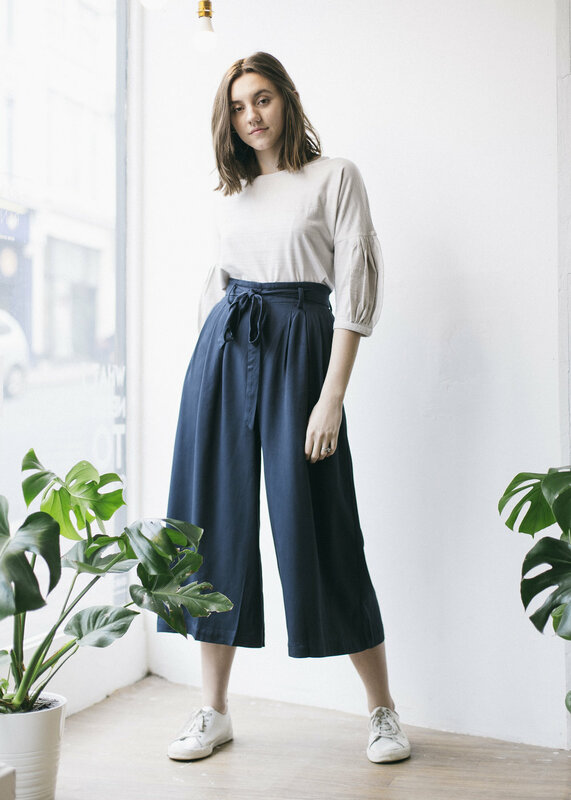 ‘Because I come from a retail background, I was expecting a faster pace of stock rotation,’ Kat admits, ‘but the opposite has happened- I’ve maintained a slower pace.’ Like many indie shopkeepers, Kat has embraced the slow living movement and has selected her stock from around her local area to encourage customers to choose carefully when shopping. 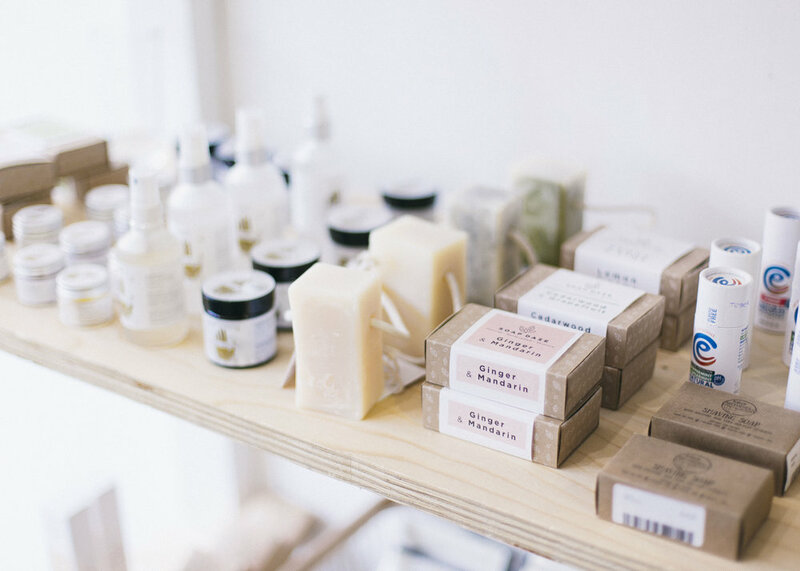 ‘When I’m buying and picking products I ask myself “would I choose this?”’, continues Kat. 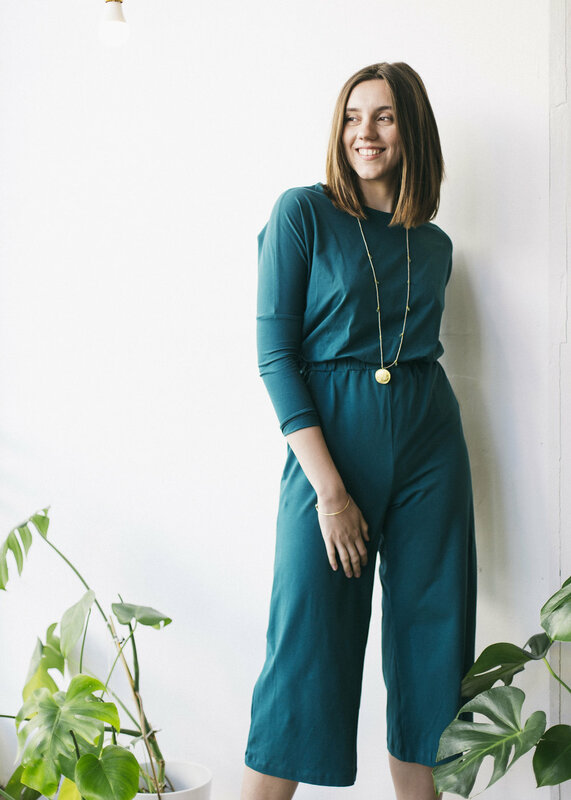 ‘I’m keen on promoting sustainable brands, ethical products and local makers.’ Her inspiration came from her travels, where Kat and her husband fell in love with boutiques in the US, Australia, New Zealand and Bali, but it’s the heady souks of Morocco that keeps Zabiela Store’s stock interesting. ‘I spent a lot of time talking to souk owners and building relationships with their stockists, and last year we visited the manufacturers of beautiful Moroccan rugs,’ remembers Kat, ‘We’re now firm family friends with one seller, and we visit him to choose the stock ourselves regularly.’ Although the Moroccan textiles aren’t from a UK maker, they tell a story and aren’t incongruous with the Scandi minimalism elsewhere in the store. 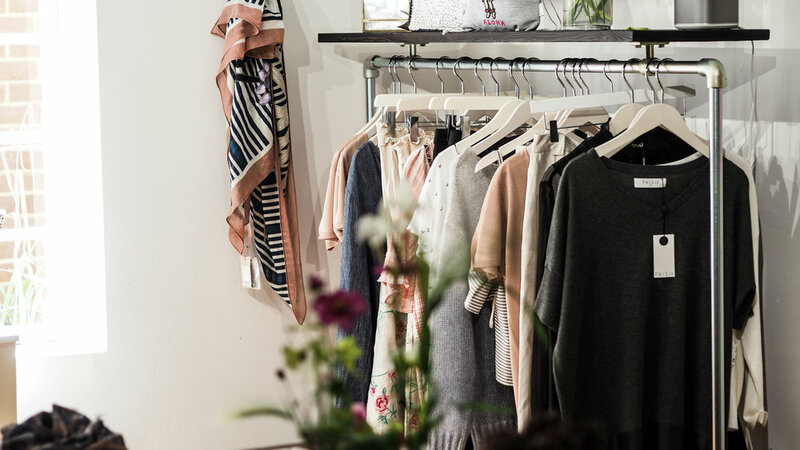 With a relaxed stock changeover and small, community feel, Zabiela has established itself as a creative boutique in an independent area. 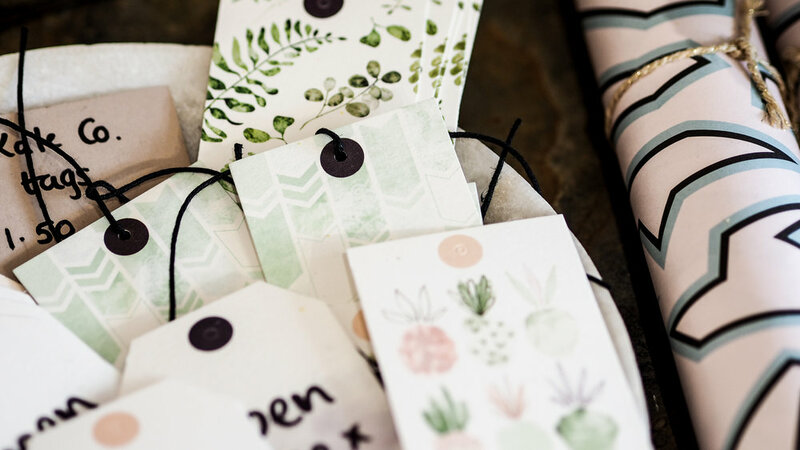 Kat’s eye for local design and enthusiasm for products with providence has created a gallery of beautiful things, suitable for any home- or wardrobe. Zabiela Store, 20-22 Burton Road, Sheffield; see Instagram @zabiela_store for opening hours. 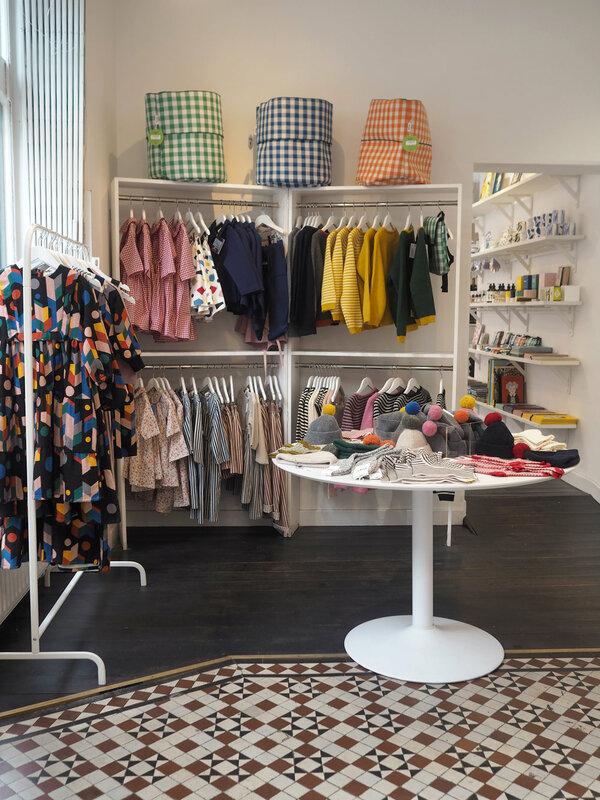 We chat to Andrea Bates, founder of Future and Found, a design destination and concept store in Tufnell Park, North London. How would you describe the essence of Future and Found? Helping people to create relaxed modern homes they love to live in and which reflect their personality. 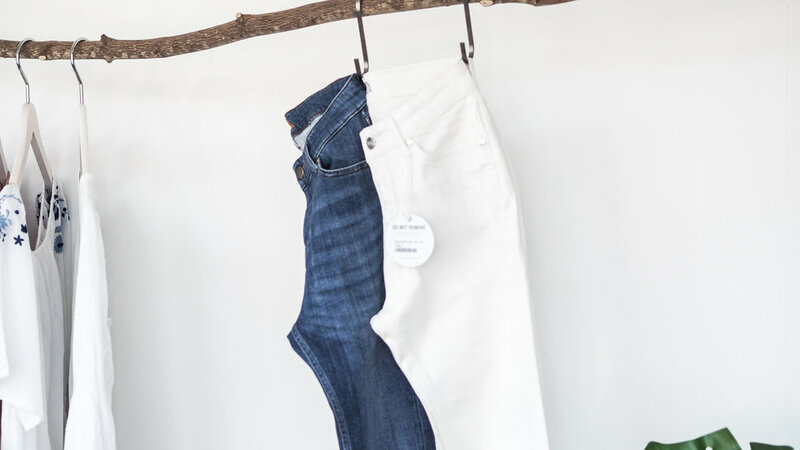 We do all the leg work curating a cohesive collection from some of the best brands and makers out there along with an increasing number of our own brand pieces. Our relaxed approach means our collection is design led and aspirational yet equally understated and unpretentious. So when a customer or client comes to us they feel confident and relaxed in our environment and decision making should be a pleasure. We're based in a converted factory building, a stones throw from Tufnell Park station in North London. 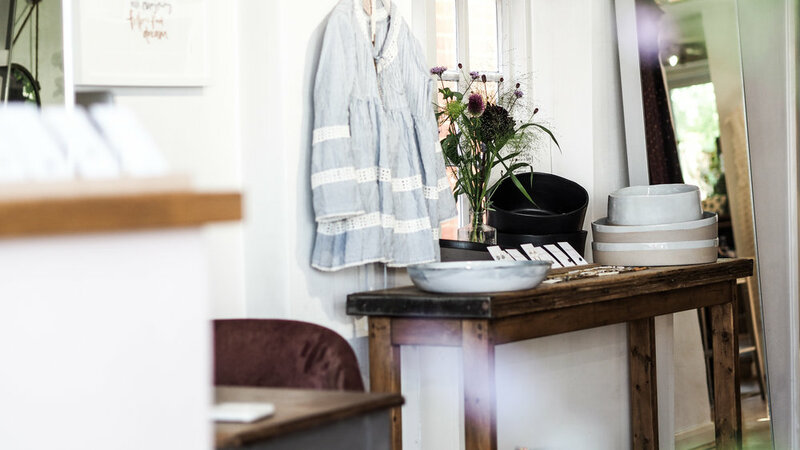 The ground floor houses our lifestyle and interiors concept store, centred around an outdoor courtyard serving coffee. Above the store is our interior design studio and workshop space. So we’re really trying to create a mini design destination for like minded people to enjoy. 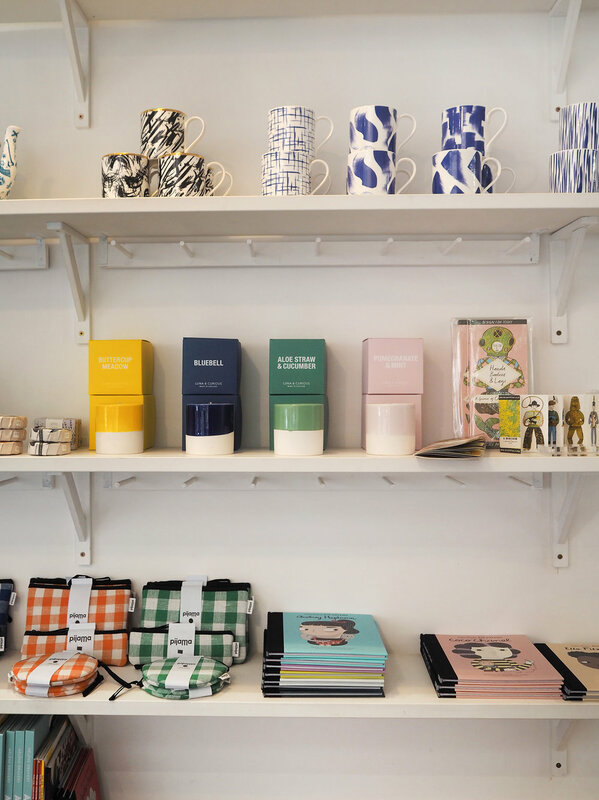 I was a retail buyer for many years working for brands such as Heal’s, Jamie Oliver and Paperchase. So I was lucky enough to travel the world finding amazing products and the people who make and design them. I launched Future and Found in 2012 with an embarrassingly bad website and a small shop unit selling just accessories. I felt really passionate about independent retail and excited about bringing new products to market quickly. Since then we’ve moved to a bigger space, upgraded the website, grown a team of lovely and talented people and gained lots of gorgeous customers. 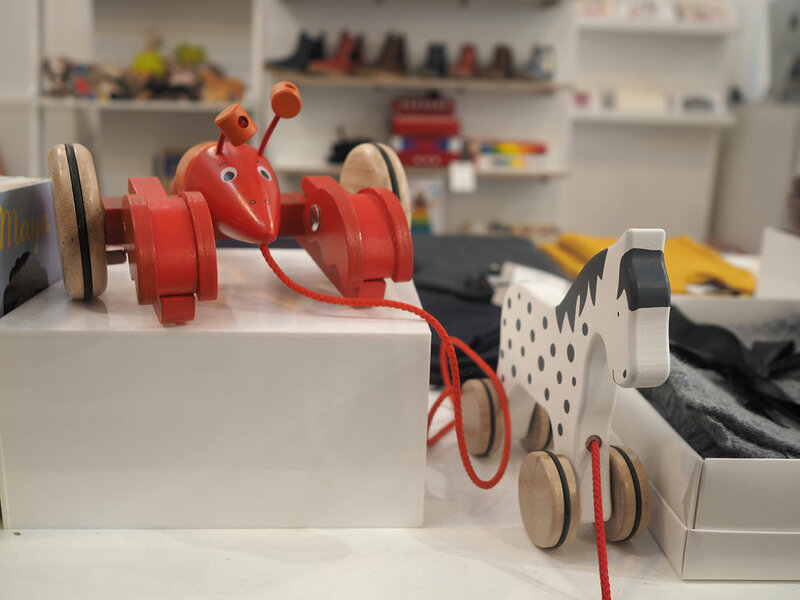 Can you talk us through your buying decisions - do you have a wish list for new stock or is it a more organic process? As a buyer years ago, I'd rely on trade fairs to build our range and find new brands / products. Things have changed massively since then and often you have had visibility of products before it hits a trade fair via social media and blogs. So we have to scour online a lot more than we did – Instagram is a firm favourite. Any favourite products? What are you current bestsellers? 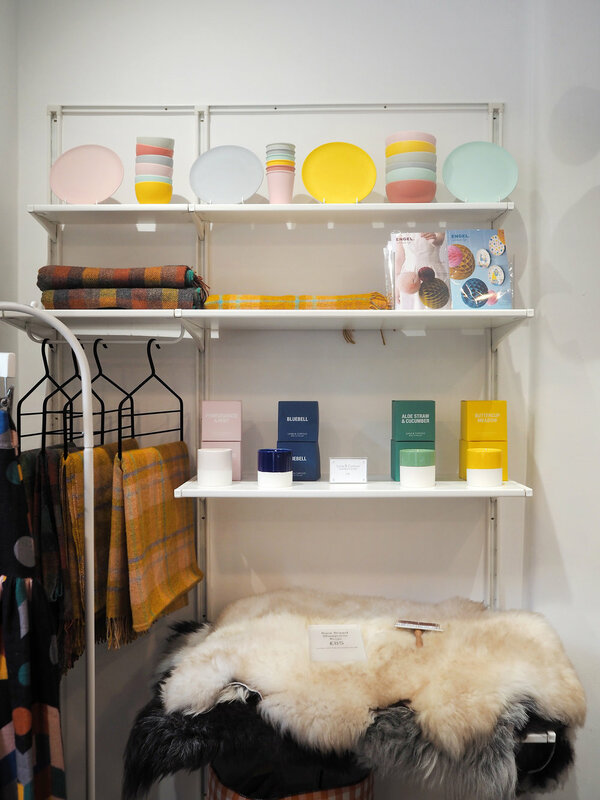 Our best selling products include Playtype mugs, Tallow candles and Kaleido trays by HAY. But furniture and lighting is becoming a bigger part of our sale mix every month as our selection - and customer loyalty - grows. How did you go about designing the Future and Found shop? We’re very lucky to be located in an old factory building set in a courtyard off the main road. So it’s a great environment to be in. We really let the architecture and style of the building lead us as it was already so perfect for our brand. Clean, simple and unpretentious. 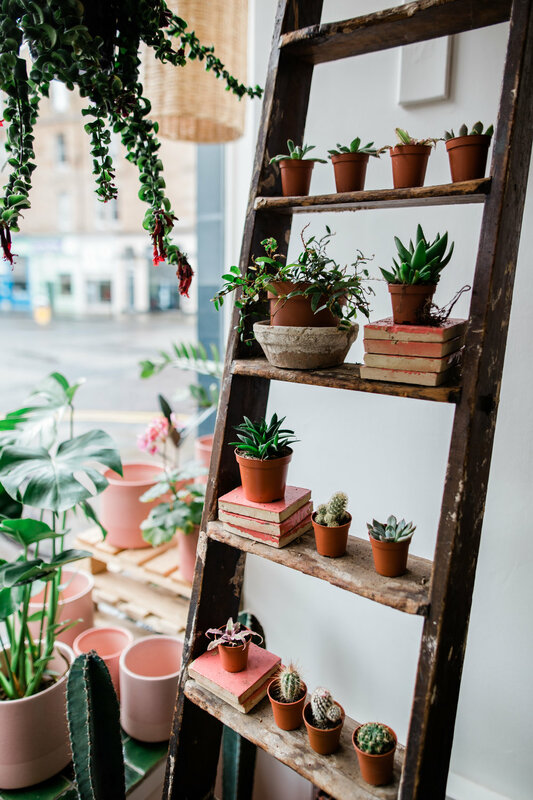 How do you balance a bricks and mortar shop and an online store? 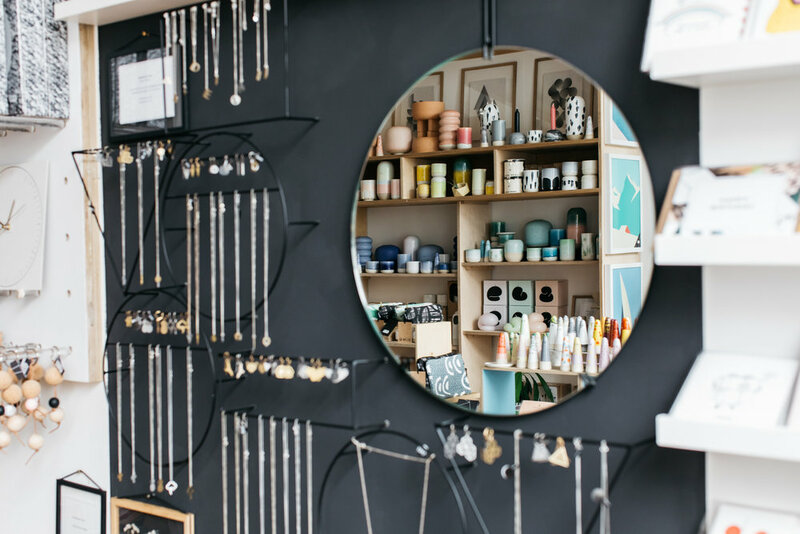 Is having a ‘real’ shop important to you? Very. I certainly wouldn’t be so passionate about our business without the bricks and mortar store. 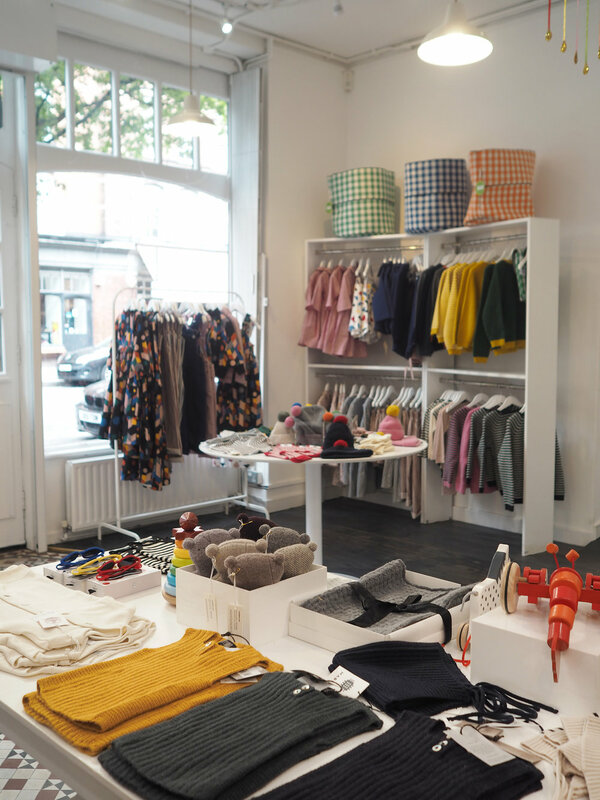 Our curation comes to life and we get to play with displays and mixing things as well as getting such great feedback from customers which we learn from every day. Also, having a bricks and mortar I think gives people confidence making big ticket purchases from us as they know they can reach a real person and see things in the flesh. You also run an interior design service and a variety of workshops in-store - was that always the plan when setting up Future and Found? We feel it’s a natural extension to the store and our customer service. We like offering something over and above the norm. If someone is going to spend thousands with you on a sofa then need you to fill them with confidence on their selection and how their space is going to look and feel – that’s what our interior service aims to do. It's practical, down to earth, approachable and most importantly, fun. In terms of workshops, that's been something of an organic process. We get approached by people once they’ve seen our lovely space. Increasingly, we also approach people ourselves - anyone who we feel would be a great fit for our demographic and customer base. Our workshops are always really relaxed and I like to think people walk away feeling like they’ve learnt or achieved something. It feels very complementary to our brand personality. Instagram is the most valuable social media tool for us currently. We try to reflect our personality as well as showcase our great range of product. 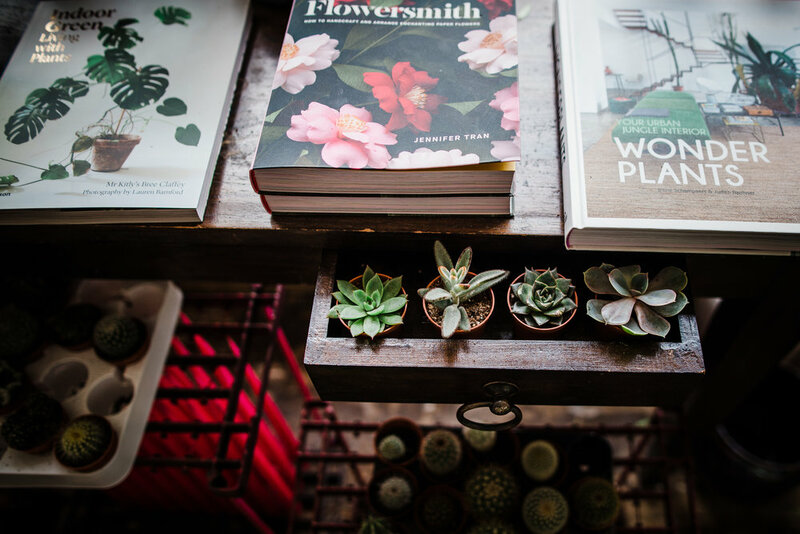 Stories are a great way to get new product deliveries and our store environment out there and give an insight into our day. 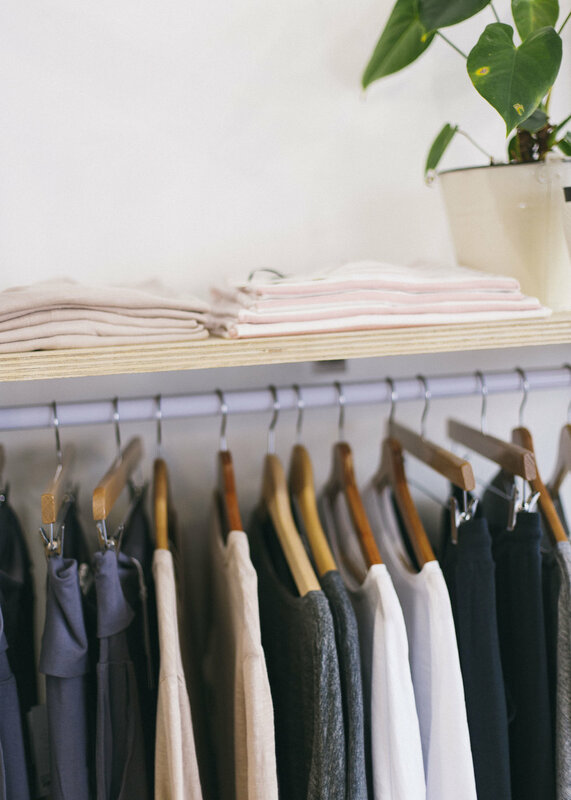 But we also do a lot of scouring and sourcing using Instagram now – it’s a great way of finding out about brands, stylists, stores, exhibitions. 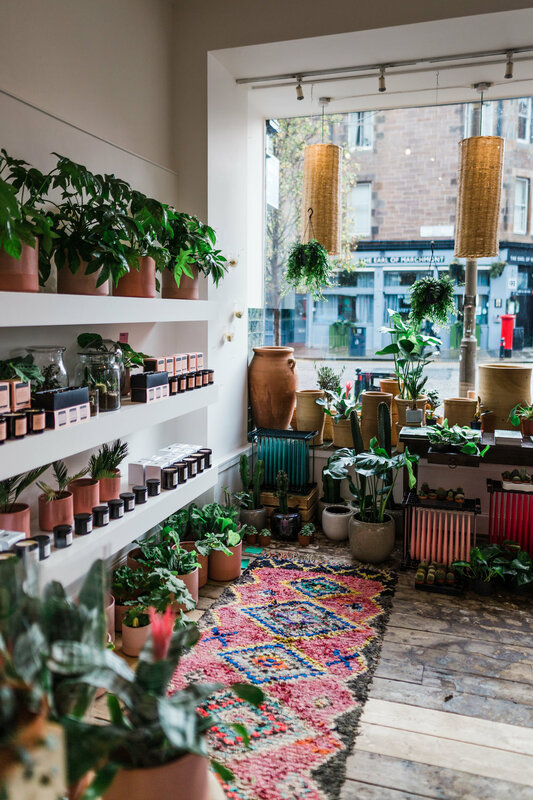 What are the challenges of running an independent store? It’s tough to stay focused on the bigger picture and the future development of the business as we’re a small team. The day to day operational running of the space and the store can easily take over. So each week I’m trying to set aside more and more time to work on our brand development – both in terms of product and branding. Working with gorgeous product and the best customers ever! Any advice for aspiring indie store owners? Be really focused on your vision. 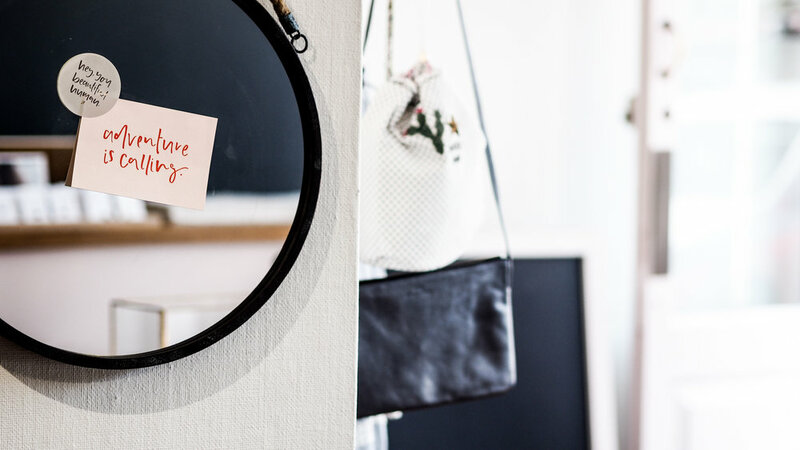 There is so much great stuff out there to select from and people are full of suggestions – so stay clear on what’s right or wrong for your brand. It’s very easy to lose the clarity of the offer in store. Also be prepared to become a bit of a jack of all trades and master multi-tasker. What’s on the horizon for Future and Found? 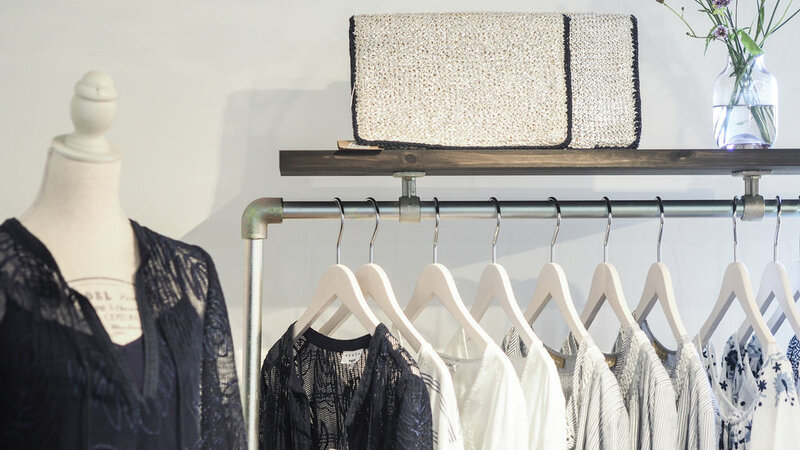 We recently expanded our store space and opened a new lifestyle section. So at the moment we’re refreshing the furniture and interiors space as the collection grows. We’re so lucky to have such a beautiful space to work with. 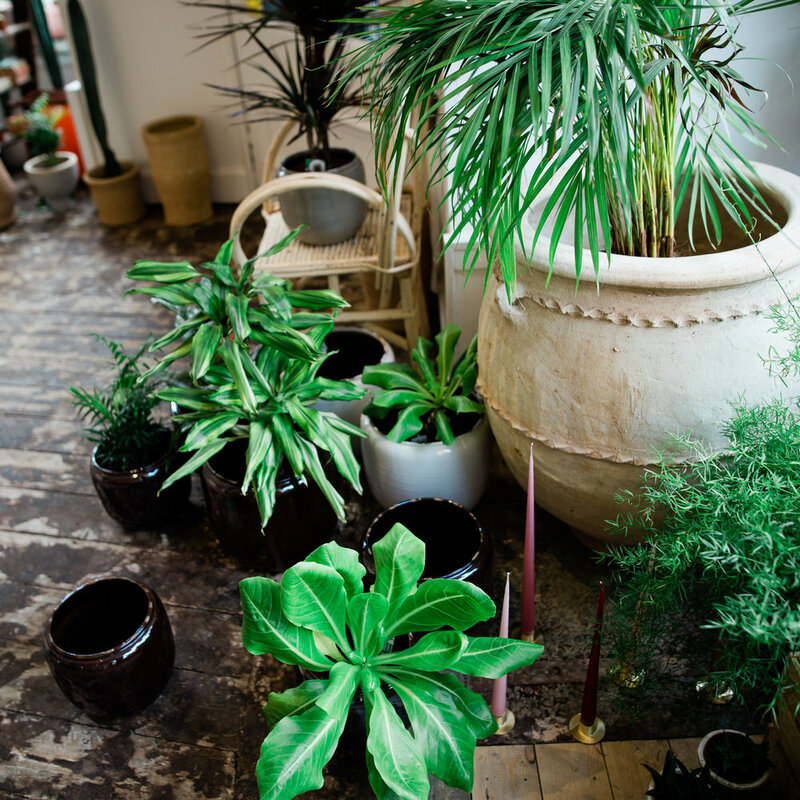 Next on the list is getting our courtyard summer ready – lots of new furniture, pots and plants will be available to buy or customers can simply enjoy them over a cup of iced tea in the sunshine. Then this autumn, you’ll see the first of our very own brand product creeping into the range which we’re super excited about. It's going to be a busy year! 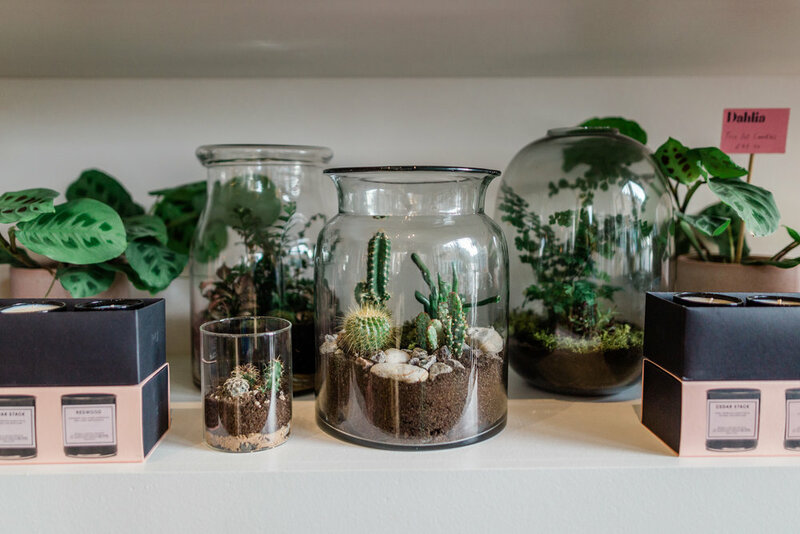 91 catches up with Hattie Crook, owner of Yorkshire-based contemporary home store Maud’s House. 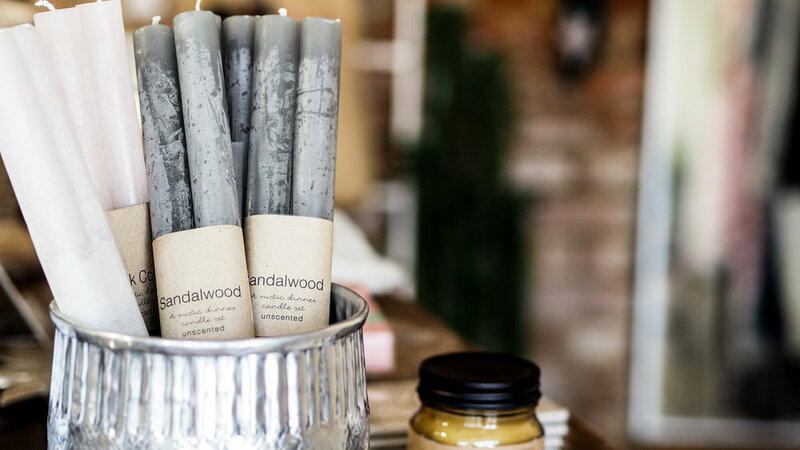 Nestled in the north Yorkshire Dales, Maud’s House is a warm and welcoming store with everything one’s heart might desire to make a house a home. 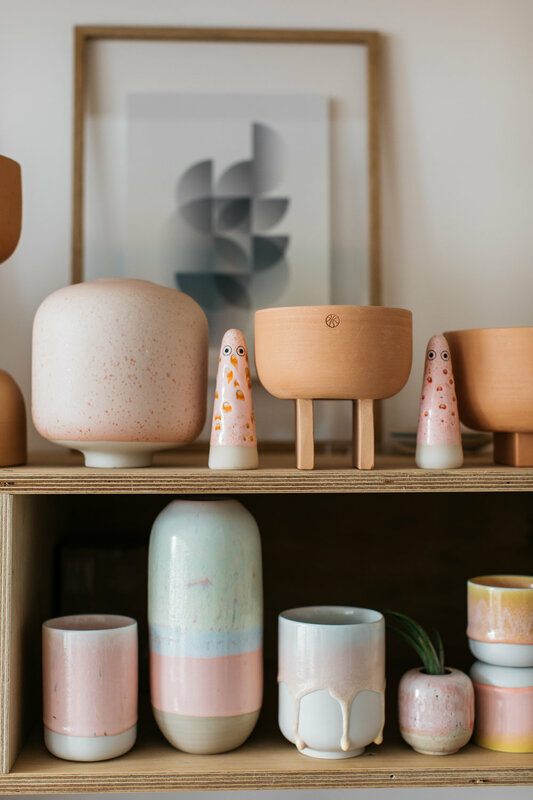 Tactile ceramics sit alongside unusual textiles, with artwork and gifts from independent designers and accessories sourced from around the world. 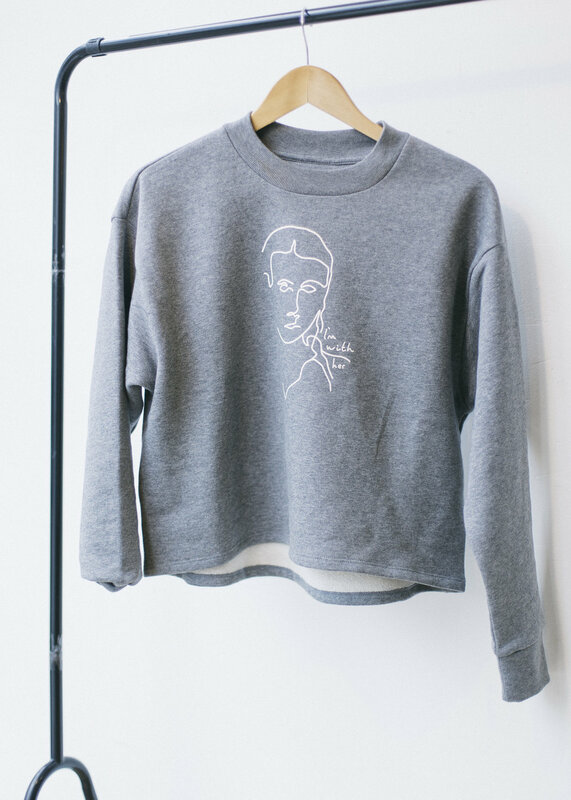 Behind the counter and the online store is Hattie Crook, who started Maud’s House in the summer of 2016. 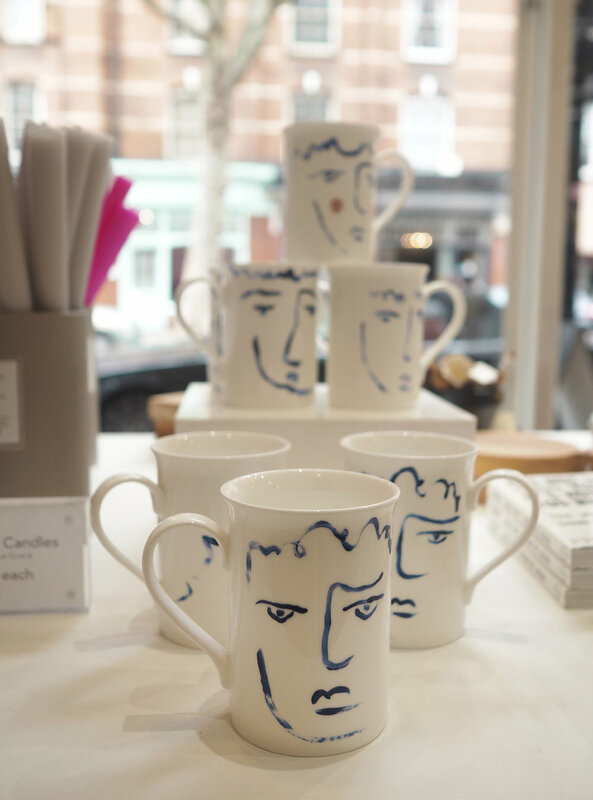 Hattie is a self-confessed ceramics fan, and now stocks pieces by Laura Bird, Tilly Hemingway, and Alex Sickling, among others, and locally, she has worked with illustrator Olivia Holden, who designed exclusive Christmas cards featuring the shop dog, Lily! 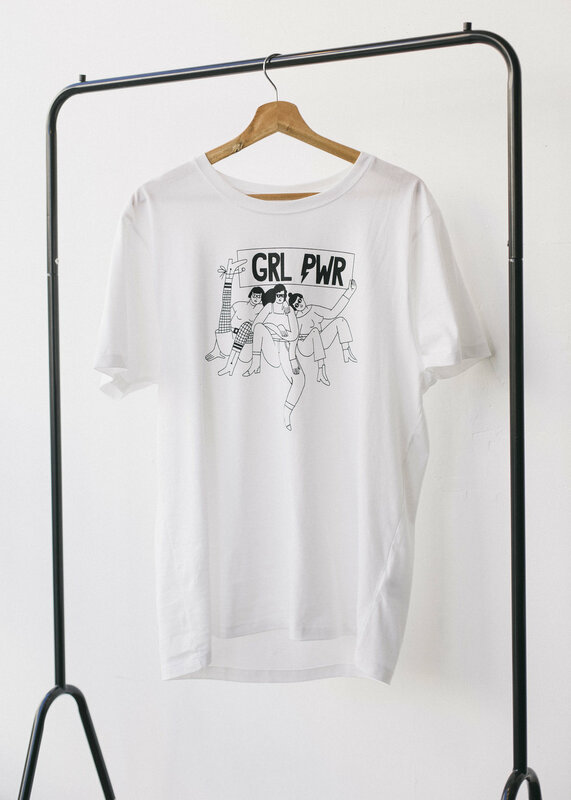 ‘A lot of makers and wholesalers approach the shop, but I always message directly the ones I can see working in the shop and online,’ she says. We chat Hygge, Instagram and running a family business with Cassie, from indie homeware store Room 356, Bolton. How would you describe the essence of Room 356? Can you tell us some more about how Room 356 came about? I initially trained as a hairstylist in London and went on to manage a chain of salons and eventually became a college lecturer. My dream, however, was always to run my own business; I was just waiting for the right opportunity to come along. Mum’s background is in social work, but after having my sister and I she set up a greeting card franchise with a friend, which they built up into a great business. They then sold that and opened a coffee bar in the Trafford Centre. I worked there alongside Mum and it was at that point that we seriously started thinking about setting up something together. 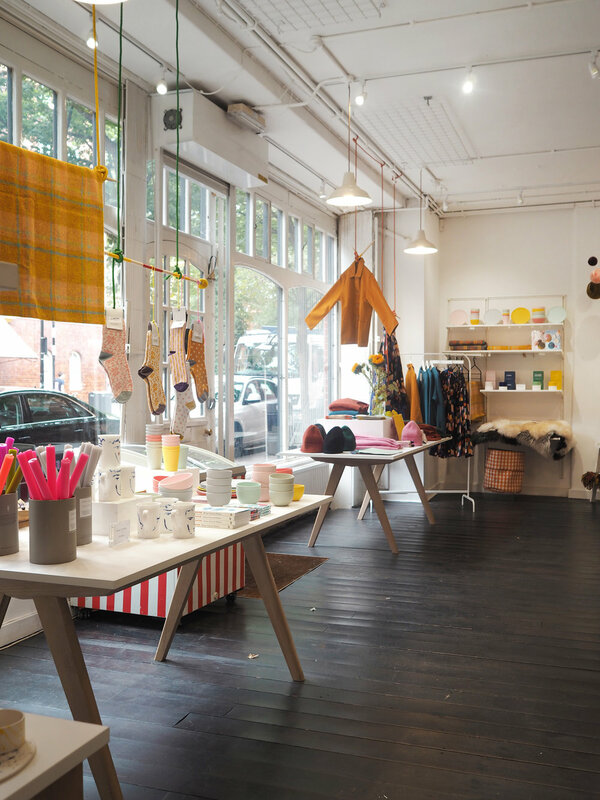 When a shop premises in a great location came up, we decided to set up a business based around our shared love for independent stores, contemporary design and homeware. You’re a mum and daughter team – how easy is it to work together? Do you find work spills into family life? 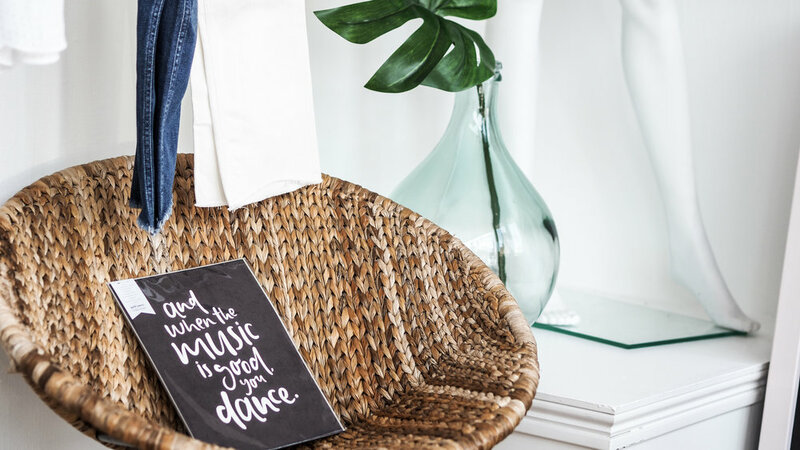 We love running the business together, and as homeware is a shared passion - it’s the perfect business for us both. We have shared responsibility for the buying process, which we both really enjoy. We also have our own specific roles that play to our strengths, so I look after the marketing and accounting side of things, while Mum looks after the operations side of the shop. We’d both agree that often the separation between work and family does blur, mostly in a good way! We do want to bring that special mother/daughter relationship into the business. Our customers really appreciate the family ethos on which the business is built. When we are at work we often talk ‘family stuff’ and when we are out of the shop we sometimes talk ‘work stuff’. We think both work and family blends well together now. We love both. We are really proud of the website, we wanted it to reflect the look and feel of our shop and for our online customers to be able to enjoy their shopping experience just as much as customers who visit the shop do. Each online order is just as important to us as each store purchase. 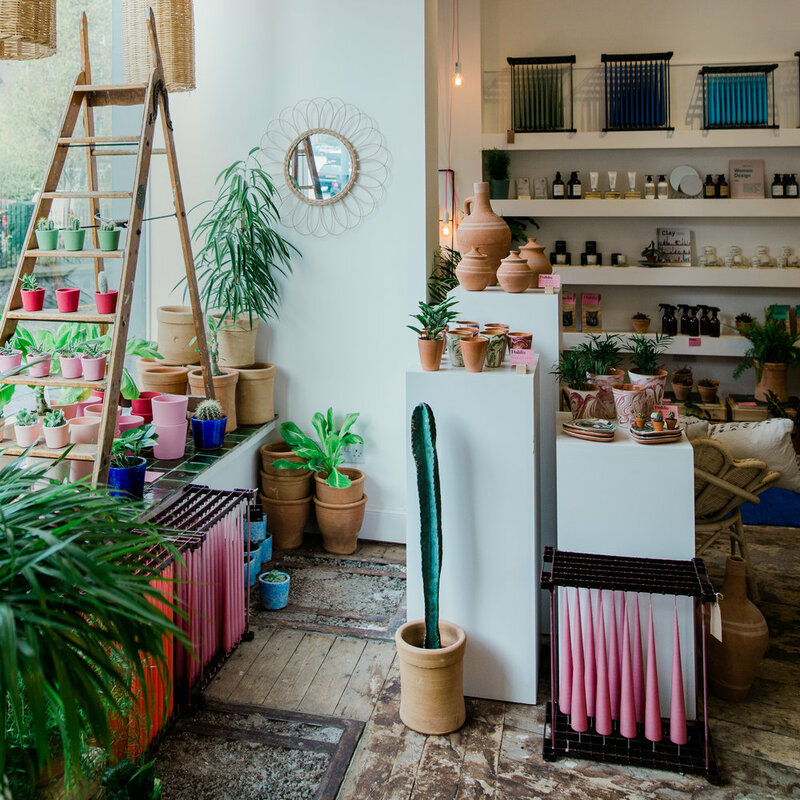 Did you have a particular aesthetic in mind when designing the shop? Simplicity was key. We wanted to create a feeling of light, space and calm where our customers could take their time and enjoy the space. 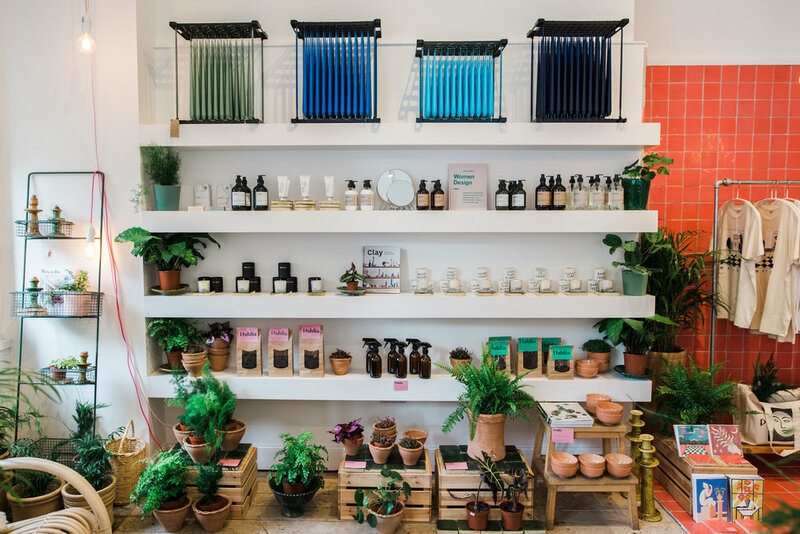 We believe it’s the small details that make such a difference; from the scents that fill the store to the layout of our product collections. We think it is really important that we make everyone feel welcome. With this in mind we also created a seating area at the back of the store with a coffee machine, so that customers can enjoy a cuppa while they shop. You’ve been open since 2014 – what have been the highlights of the last 3 years? Seeing the business grow has been a highlight for both of us. When you work seven days a week and put so much passion into what you do it is such an amazing feeling to see it grow from strength to strength. 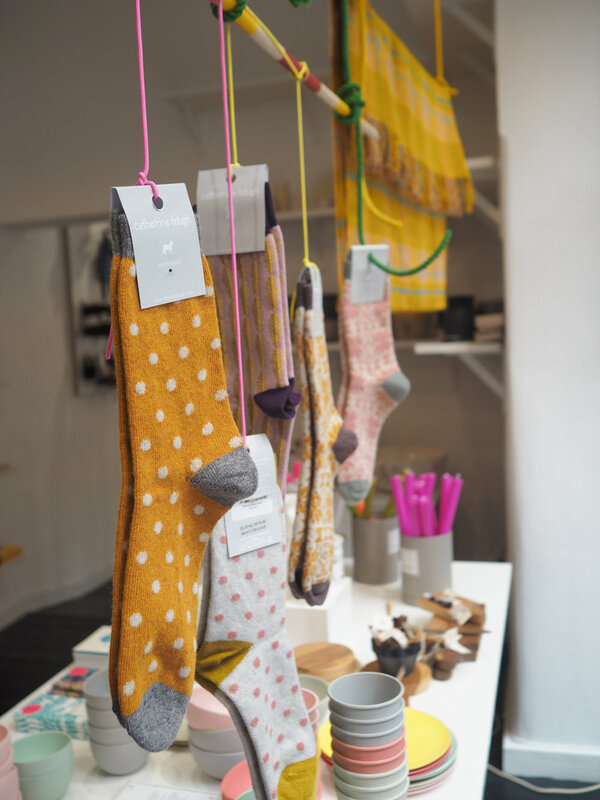 We have also loved meeting so many new people and making some really good friends through the business, including customers, makers and brand suppliers. We only buy products we both love and that we both agree fit the Room 356 aesthetic. Instagram has been a fantastic platform for discovering creative and talented makers and innovative brands that sit well with our specific identity. We love adding new unique and original products and our customers like the opportunity to buy products that they have not seen in other shops or on other websites. 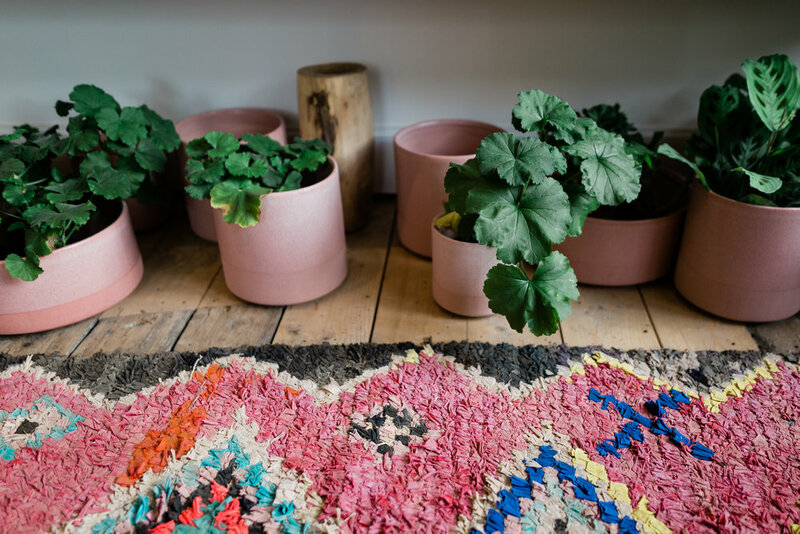 Ceramic tableware is really popular, as are concrete and marble trays and planters. We are working more and more with UK based artisans who make beautiful ceramics, jewellery, wall art and rugs for Room 356. These items are amongst our personal as well as customers favourites. Our customers and we enjoy the back-story behind these products and the love and creativity, which has gone into making them. Our look is quite specific but we are very mindful of lifestyle trends. 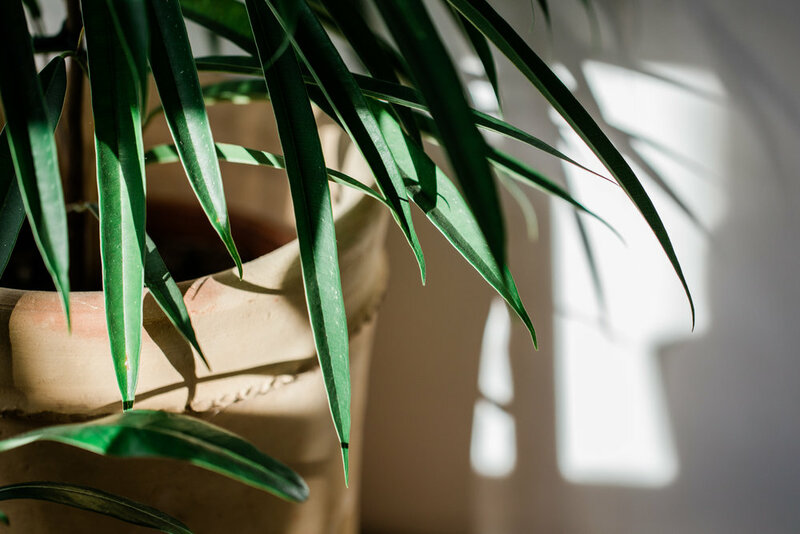 Hygge, for example, has had a big influence on our business; people are increasingly moving toward a simpler and slower pace of life and how they have a desire to create a family home environment which reflects this. 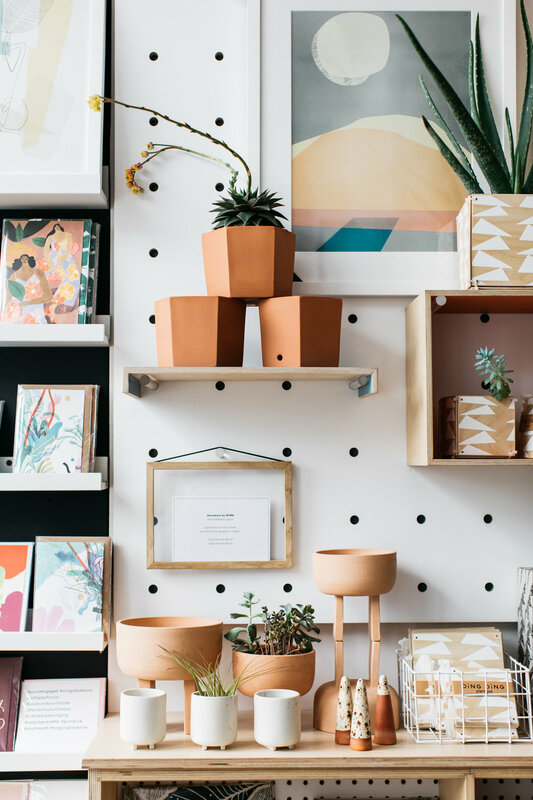 People often want to re-create the look of rooms they see on Pinterest and Instagram and so it’s important we are mindful of the latest trends in order to resonate with our customers. What’s your approach to marketing? How easy is it to get the Room 356 name out there? 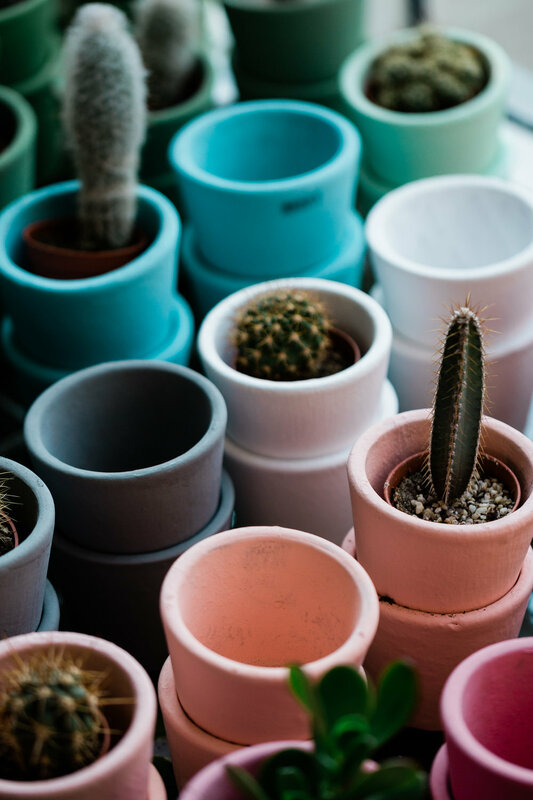 Instagram and Pinterest have been an amazing way for us to raise our profile and connect with our target audience. We have taken responsibility for doing our own website SEO and all of the content, including our blog. There are free SEO tools that you can implement on your online store and as long as you get a little advice you can easily do it yourself. The blog is an important aspect of our brand as it’s another way of having a voice and a channel to reach out to our customers I currently write all our posts, I always write with our customers in mind and I hope people enjoy reading them! Start with a clear and defined vision whilst having the flexibility to change and develop when needed. You need to believe 100% that you will make your business a success. Be positive and passionate about your business regardless of the daily challenges you will encounter. Try not to be too influenced on what anyone else is doing, stay focused on your own business brand vision. 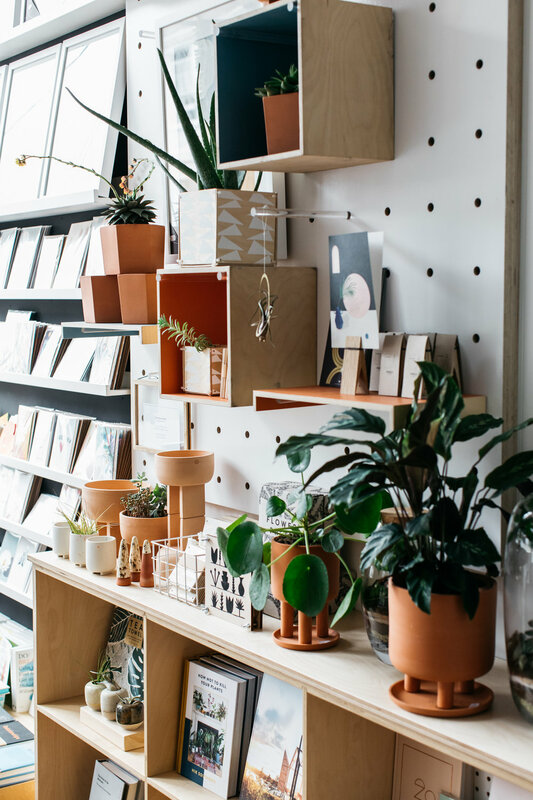 Don’t be tempted to spend too much money initially on your shop fitting; you can create a beautiful space without being extravagant. Social media is a powerful weapon, use it daily and get your story out there. Build great relationships with your customers, brand suppliers, makers and everyone else you work with. Basically, be brave and go for it, if it was that easy everyone else would be doing it! What’s next on the horizon for Room 356? To increase our product lines and collections so we are able to offer more choice to our customers. We are also designing our own exclusive range this year, which includes ceramics and jewellery, local talented makers will produce it and we’re super excited about it! 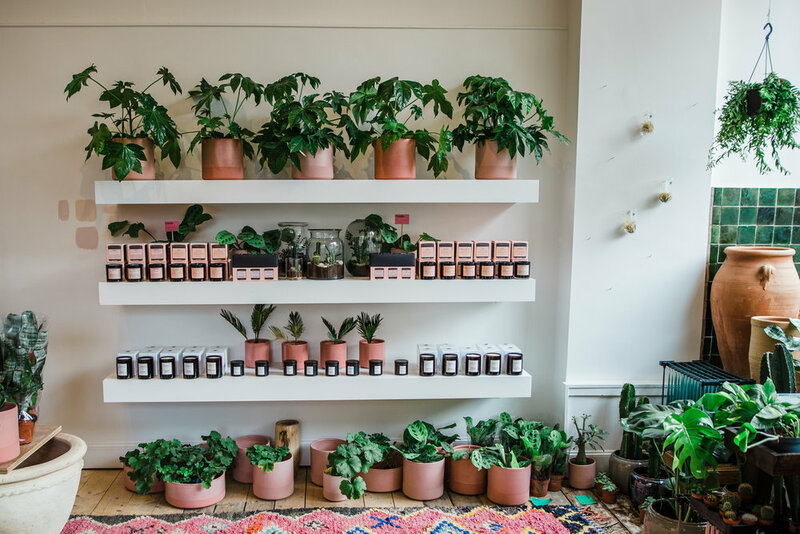 This month, we catch up with Alex and Ali Cooke, co-founders of ethical homeware brand, Nkuku, who sell to both consumers and trade, and run a beautiful store in Devon. How would you describe the essence of Nkuku? 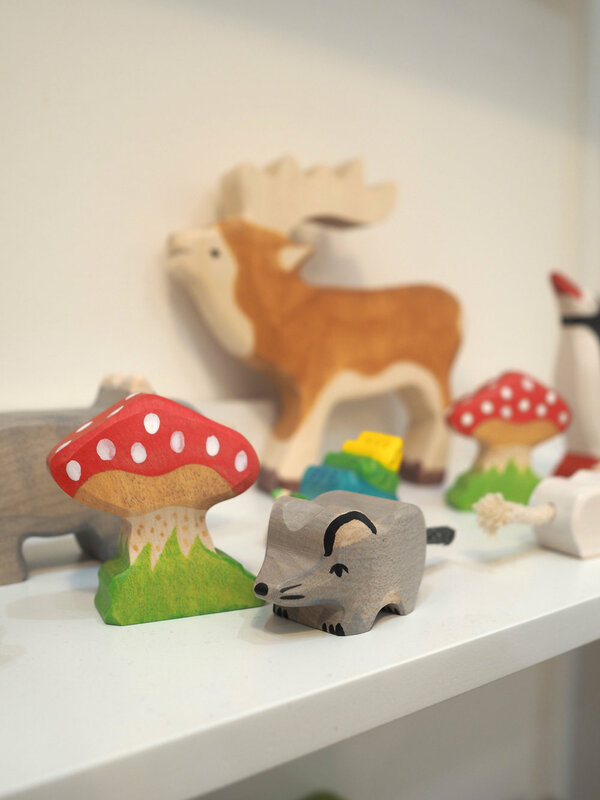 Nkuku is about creating beautiful handmade home and lifestyle products. We work with artisans throughout the world, combining timeless design with traditional skills and natural materials. Can you tell us some more about how Nkuku came about? Nkuku came about from a round-the-world trip - leaving our jobs in corporate finance and interiors - we seized a chance to travel the world. A passion for culture and travel underpins the Nkuku brand, meeting artisans and learning about traditional skills specific to each country. 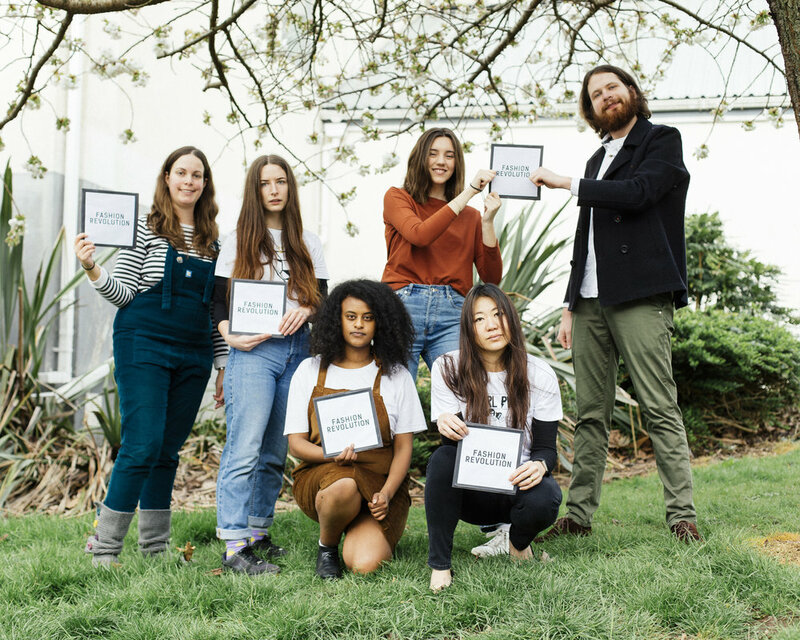 We wanted to bring these skills to a wider audience whilst creating a sustainable business for ourselves. On our return we moved out of London to Devon and began working with artisans in India. Initially, our office was in our bedroom, that later upgraded to a garage and finally an actual office space! We sold products at markets and county shows and finally attended trade fairs. All our products were stored in a hay loft, we picked and packed all our orders, often through the night to meet deadlines. We now have an amazing team with us, but our hands-on approach remains the same. 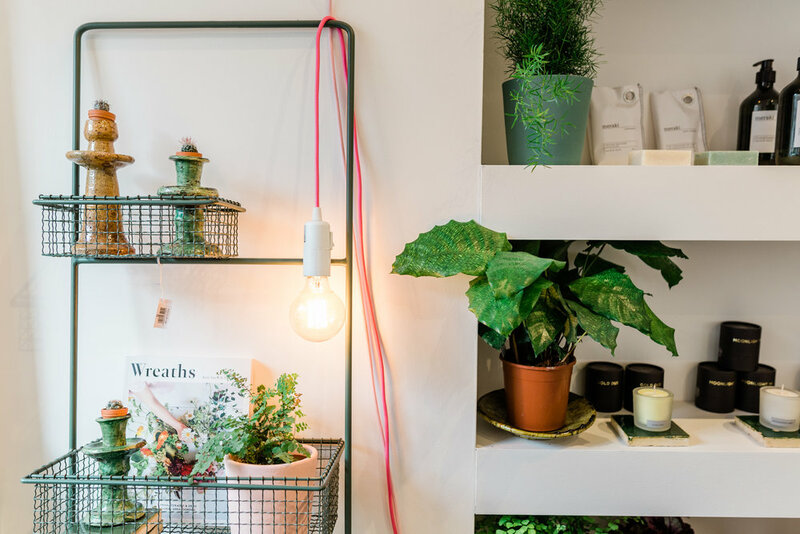 You recently opened a lifestyle store and cafe – how did you find the space, and what was your approach to designing the interior? It was over three years ago that we first stumbled across a beautiful courtyard of stone barns, located just outside Totnes, Devon. The buildings were originally dedicated to farming and cattle and had been derelict for several years. Despite the exposure to the elements and neglect there was a certain magic to the space. Our first taste of the site was enough to inspire us and as we stood surrounded by decaying timber, rubble and a fair amount of cow muck we saw our first store coming to life. We were keen to keep as many of the original features and stay true to the original building. In keeping with our Nkuku principles we wanted to restore rather than rebuild. This set about a number of research projects, searching for reclaimed materials and other suitable resources. There was also a fine balance to be found between look and practicalities. Maintaining these important details really make the building what it is today. You have a strong ethical approach – how important is that to you and the business? How do you go about finding artisans to work with? Our ethical approach is a key part of Nkuku. It’s the reason we decided to set up the business. 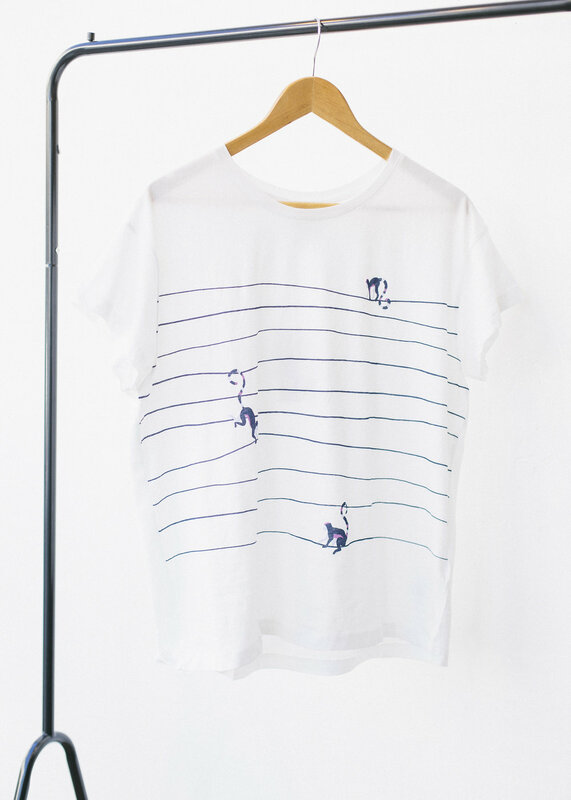 Discovering beautiful products and working with artisans is core to Nkuku. We think ethical business is good business. Initially the artisans we met were people we met whilst travelling, this then caused a chain of introductions to other artisans and manufacturers. We are always on the lookout for new NGO’s, social projects and enterprising businesses. We now visit trade shows worldwide. Last year we took our family travelling around South East Asia and met some astounding potters. Wherever we go we are always looking, even our children can’t help but get involved. How do you approach the buying process? We have key suppliers that we have worked with many years, and we enjoy developing products working with the materials we know they are experts in. We spend a lot of time planning and developing our collections with emails flying back and forth and trips out to India to confirm. It’s very rare that we find a product that we just want to stock, there is always a design change or what we hope an enhancement that makes the product better. 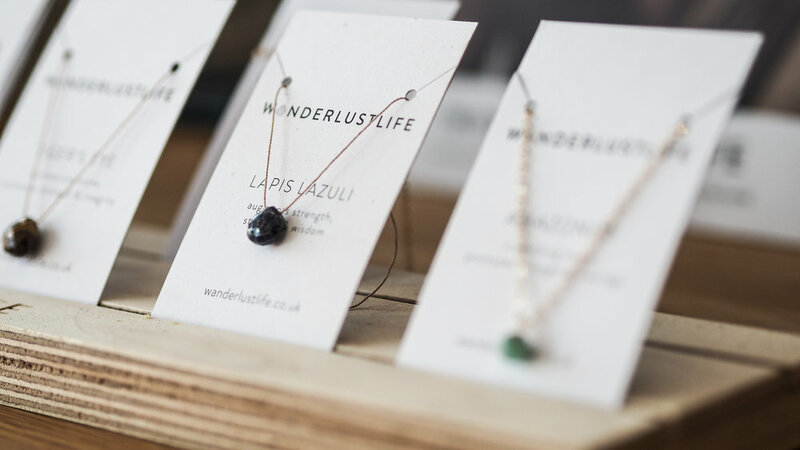 Can you tell us a bit more about the wholesale side of things - how do you go about finding stockists? Do you like to find people who share your ethical approach? We have a great selection of stockists some of whom ordered with us at our very first trade show over 10 years ago. 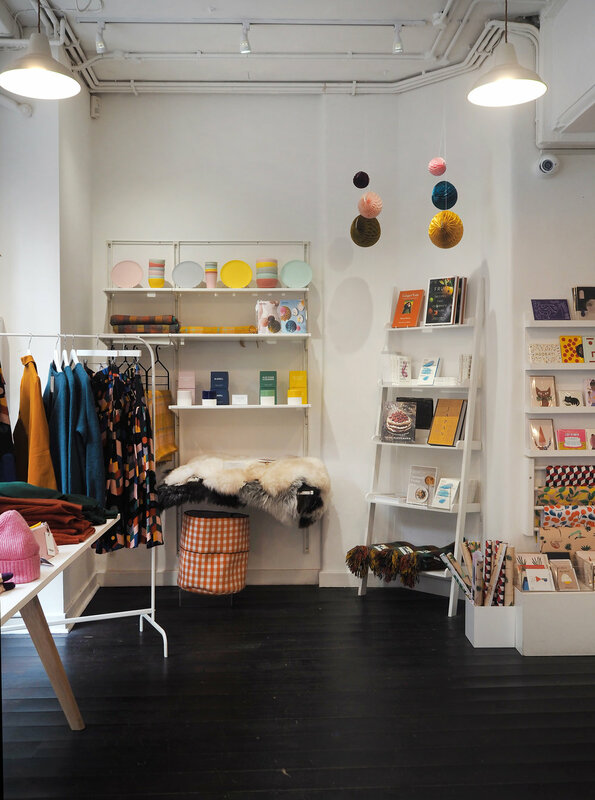 It’s always great when a stockist shares the Nkuku ethos. 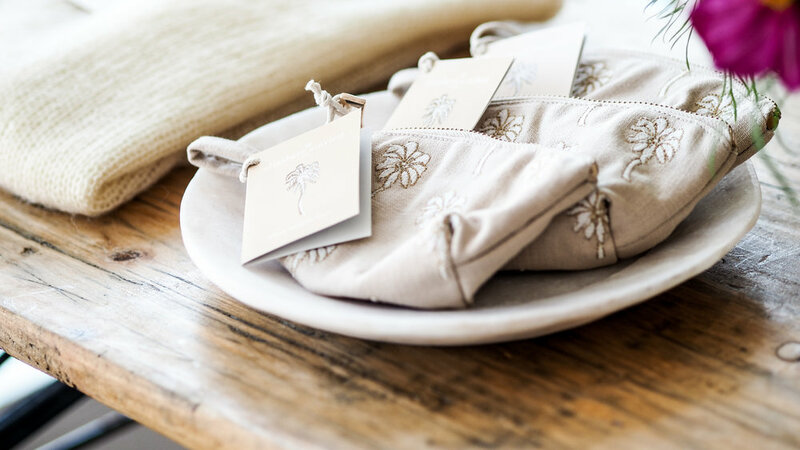 We hope, first and foremost, that they love the product, and then when they discover the story behind each piece it adds to the value and makes each item not a mass market item but an individual piece. The world is a much smaller place and we believe that our customers want to know how things are made and where they originate. At the end of the day our stockist want a product that sells well and gives pleasure to their customers, and that it was we are aiming for. Our Kiko frames continue to be a bestseller, along with our collections of handmade tableware. We are all excited about the new autumn collection in particular the new Satara hand painted metal, Datia tableware and Ozari glassware. To what extent are you influenced by trends in terms of your products? We are not a fashion led brand and this is an important part of our ethos. We try to keep an independent and individual style that will stand the test of time. Good design, good quality and beautiful materials are our focus. What are the challenges, and best parts of running Nkuku? All businesses have challenges but we are lucky to have a great team and Devon is a wonderful place to live and work. 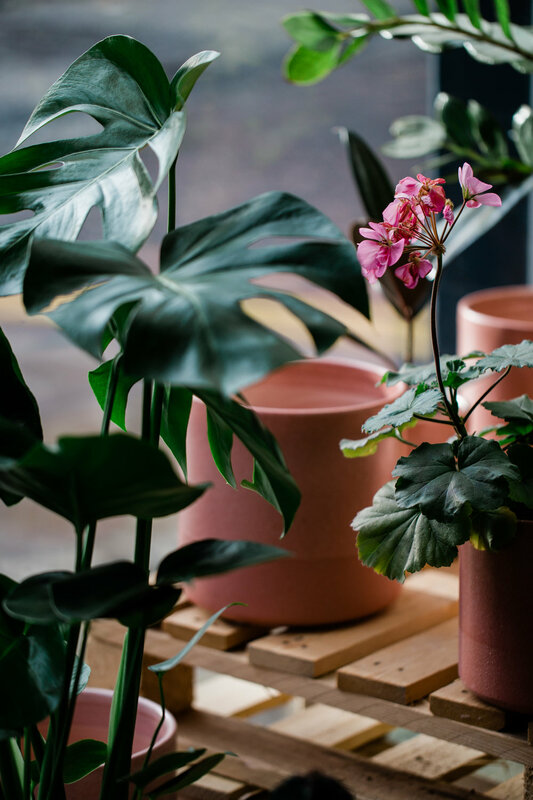 The handmade nature of products can throw up challenges, small kilns mean that only small batches of products can be completed at a time so we need to plan around this. The weather can throw a few curve balls too, the monsoon makes it particularly hard to dry products so we have to find ways to work collaboratively and find solutions. Finally, getting the pieces from A to B is a challenge in itself, often camel carts and brightly painted trucks are involved, not to mention the shipping and finally delivery to the customer. What are the key elements to running a successful interiors business? Ultimately, I think it is a real love of the brand. We live, breath and sleep it. Sometimes it can be a negative too as you never step away because you care so much. We have a real love for interiors and creating products that bring pleasure to everyday life. Working with the right team is key, we have a really positive, ‘can-do’ team of people who care about the brand, our products and our customers. Any advice for anyone aspiring to run their own business? It’s a cliché but hard work really does pay off. You just have to believe in your own business. Don’t worry too much about what anyone else is doing and just stay true to your own ideas. Try and offer something unique in what you do and don’t be afraid to fail.